Marking the official beginning of charity event season, Love Heals at Luna Farm should act as an example for the many benefits to follow. 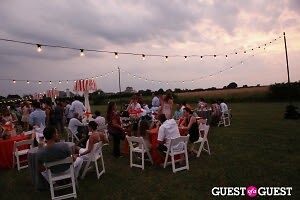 Far from stuffy, this benefit provided guests with a laid back atmosphere to give back to a great cause. With a strict color scheme of orange and white, upon entering the party tent the fun began with a huge "birthday cake" wishing Love Heals a happy 20th birthday! Go HERE and HERE to see more pictures by Veronica Hoglund and Thos Robinson and tag yourself and your friends! With hosts Charlotte Ronson, Hilary Rhoda, Andrew Saffir, and Daniel Benedict and guests that included Alexandra Kaplan, Chris Wragge, Scott Lipps, Rebecca Minkoff, Samantha Yanks, Nicole Trunfio, Peter Davis, Eric Villency, and Dini Von Mueffling, all proceeds from the evening benefited Love Heals, the Alison Gertz Foundation for Aids Education. A fun southern barbecue filled the bellies of benefit goers, but the option to munch on a Nathan's Hot Dog was also readily available. DJ Kiss took the dance floor by storm by spinning beats that were easily danceable to all night long. 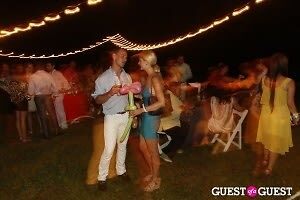 And once the rain began and ushered all guests into the tent, the dance floor was packed! 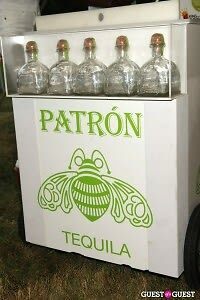 Patron was the alcohol of the evening, being included in the special Birthday Splash drink, as well as being in the dessert of choice. How does that work exactly? 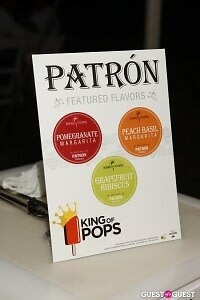 Well with three different Patron ice pops in favors such as Peach Basil Margarita and Pomegranate Margarita, dessert was a boozy affair. The tequila company also kept partiers occupied with a fun photoshoot, complete with little Patron hats, balloons and tequila bottles. They also had a muddle your own mojito bar, where you could walk away with a personalized muddler to go with your minty beverage. Daniel Benedict• Scott Lipps• Peter Davis• Love Heals• Charlotte Ronson• Hilary Rhoda• Andrew Saffir• Eric Villency• Rebecca Minkoff• Nicole Trunfio• Patron• Nathan's Hot Dogs• Samantha Yanks• DJ Kiss• Chris Wragge• Love Heals at Luna Farm• Alexandra Kaplan• and Dini Von Mueffling• he Alison Gertz Foundation for Aids Education.